Currently studying at the Slade School of Fine Art in London, Singaporean artist Danielle Tay works in a variety of mediums though up until recently they seem to mostly be limited to walls. 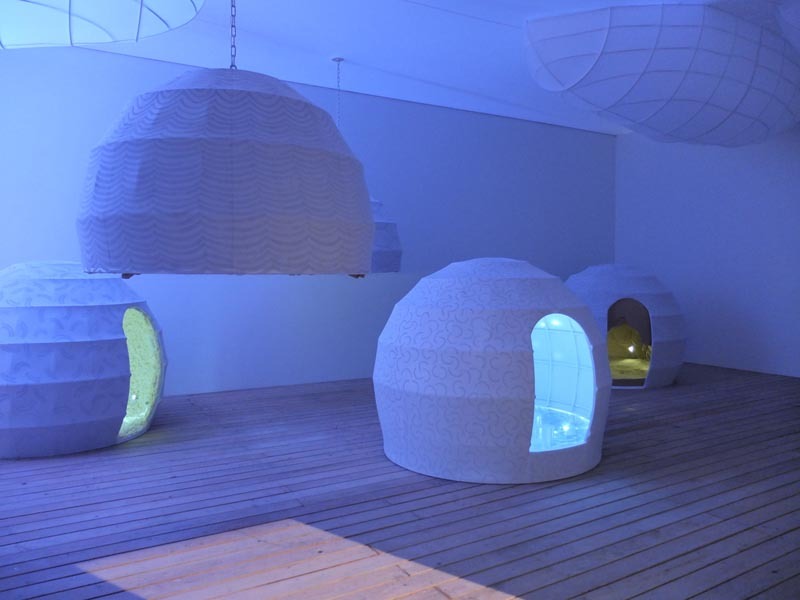 Her most recent work appears to be a bit of a departure, stepping into immersive installation art with her work PODS showcased at the Garage Center for Contemporary Culture in Moscow this past January in their very appropriate Art Experiment 2013 show. 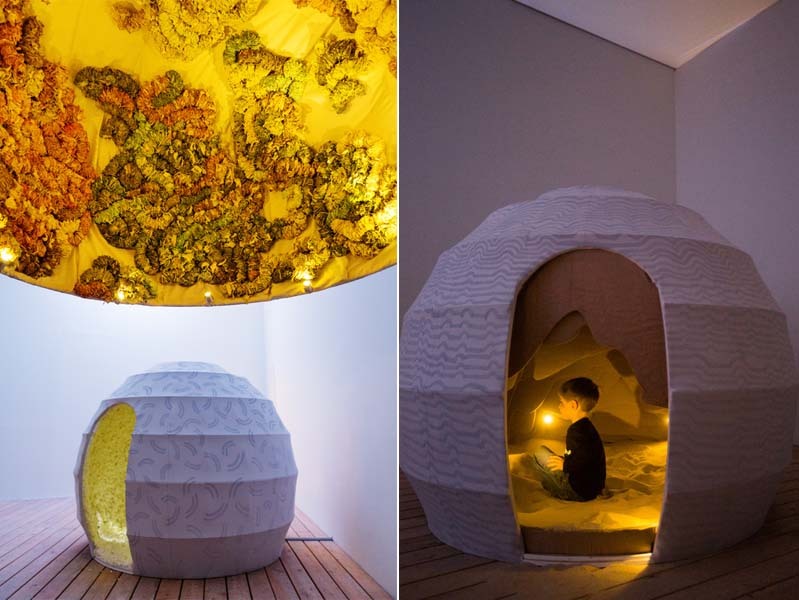 Each pod had a different interior, some were crawled into, others acted more like canopies, but all of them seem to have offered a very cool environment to its visitor. Thanks very much for the feature (: awesome site! will continue to check back regularly for new updates! Thanks for the note and for stopping by!